The following article is by Marylou Elton, our volunteer researcher who lives in Washington, DC. Marylou spends most Wednesdays digging through Morningside Hospital administrative records at the National Archives II. The documents she used for this post were from Record Group 126 at the NA2. There are links to the letters at the end of this article. By Marylou Elton Dr. Henry Waldo Coe saw himself in the role of a father figure – a man who was firm but willing to give a patient a hand up or a second chance. Morningside did not offer “treatment” but Coe was proud the hospital offered a safe place to eat, sleep, and possibly pass the time at some chores while recovering from whatever symptoms had induced fellow Alaskans to call for the individual’s commitment. There were several times he petitioned the Interior Department to allow a patient to be reinstated if, after discharge, they were not able to make their way in the world or if the “symptoms” came back. Many of the battles he waged with Congress and the Interior Department were to increase funding that would eventually impact his own bottom line (especially during World War I when the cost of goods rose dramatically). But some of the skirmishes he entered into with the bureaucracy were strictly on behalf of the patients. A true example of this was his pursuit of whiskey for his patients during Prohibition in the 1920’s. In late January of 1920, Coe was notified that whiskey impounded due to Prohibition could be made available to his patients at Morningside if he would contact the U.S. Attorney in Oregon to apply to the courts for the necessary order. Coe immediately gave a positive reply, noting “a few ounces of spirits for some of these old Alaskans at times is really a life-saving substance”. The process dragged on for several months. Coe made contact with U.S. Assistant AG Austin Flagel, in Oregon, who at first said all that was needed was a request from Interior to release 50 gallons of whiskey to Coe as an agent of the department. 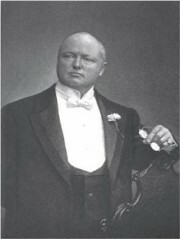 By the end of May, after numerous letters between all parties, Coe was disappointed to receive a letter from Flagel saying the deal was off since the state laws of Oregon prohibited the use of intoxicating liquor for any purposes. Flagel suggested the Interior Department should ask for the liquor to be turned over directly to the department, rather than Coe. Coe traveled in Europe that summer, but did not give up the quest. In mid-October of 1920, the Acting Secretary of Interior, Alexander Vogelsang, provided the proper request to Lester Humphrey, Flagel’s boss, for the liquor to be turned over to the department to be disposed of how they might see fit. Vogelsand also directed Coe to keep the liquor under lock and key and to include usage data in the monthly reports. A week later, Flagel wrote back saying the request could not be complied with. Since Flagel’s suggestion in May that Interior should ask for the liquor directly, the War Department had made proper application for the liquor and all they had available had been turned over to them. Nothing was left. Coe did not let it rest. He agitated for action from the department with a letter to Acting Secretary Vogelsang pointing out “that Mr. Flagel has turned (about 1000 gallons) of liquor over to the War Department, and while he is willing to accept the receipt for the liquor from the War Department he is unwilling to do so for the Interior Department”. “So far as I know”, he continued, “there is nothing in the Oregon law or any other law which manifests any disposition to discriminate between the different departments of the government.” The Interior files include two more letters on the subject. A December 11, 1920, letter, from Johnson Smith, the Federal Prohibition Director, authorizing Dr. Coe to accept and transfer liquor on behalf of the Interior Department; and a January 1, 1921, letter from Dr. Coe to Acting Secretary Vogelsang, notifying him that 200 gallons of whiskey had been turned over to him as an agent for Interior, with 185 gallons being kept under lock and key and an initial 15 gallons “released to the institution, was in the process of employment”. You may view the letters actually copied from the files of the Interior Department here: [download id="96"]. [download id="97"]. [download id="98"]. This entry was posted in 1900-1929, Treatment/Outcomes. Bookmark the permalink. Post a comment or leave a trackback: Trackback URL.